We’ve noticed an influx of users reaching out to us who have claimed they did not receive login credentials when signing up for the demo of MetaTrader 5 (MT5). 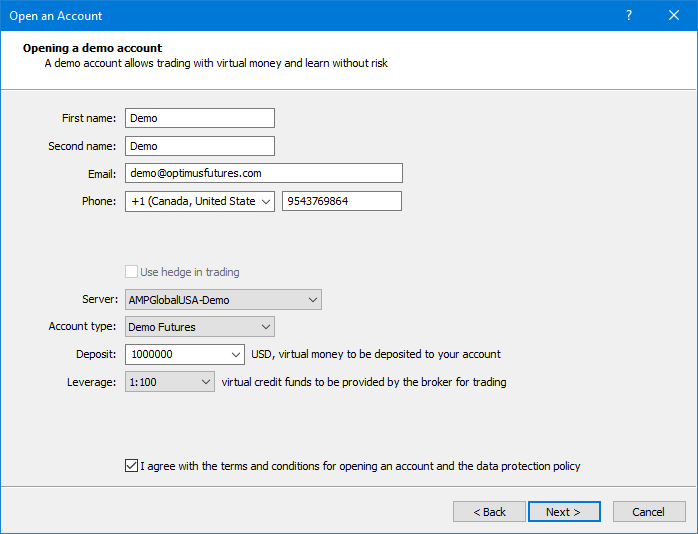 MT5 does not require credentials to access futures data. You will actually be provided credentials through the software as you will see in the steps below. 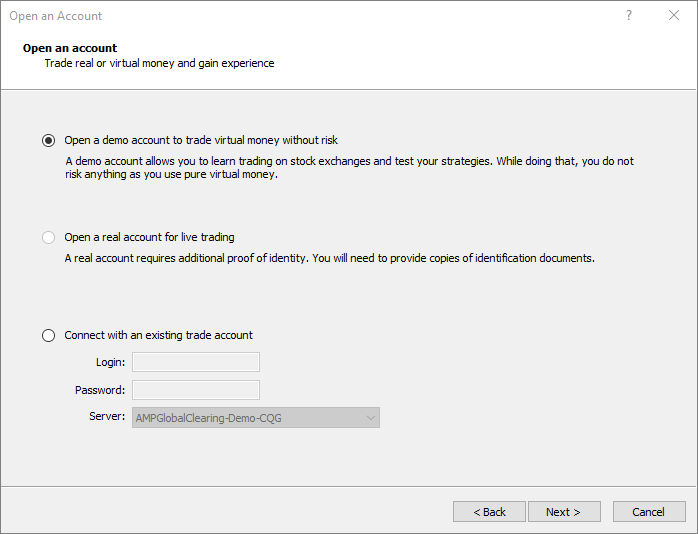 Navigate to File > Open an Account > Select AMP Global Clearing LLC as shown in the image below. 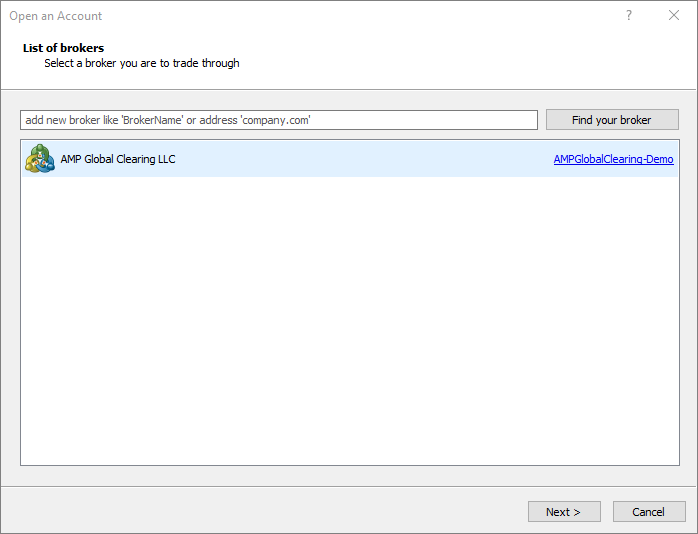 If you do not see this option, type AMP Global Clearing in the Find your broker search box. Once this option populates, highlight it and click next. Select the Open a demo account option. If you are following this guide as a trader with a live account, feel free to select the Connect with an existing trade account option. 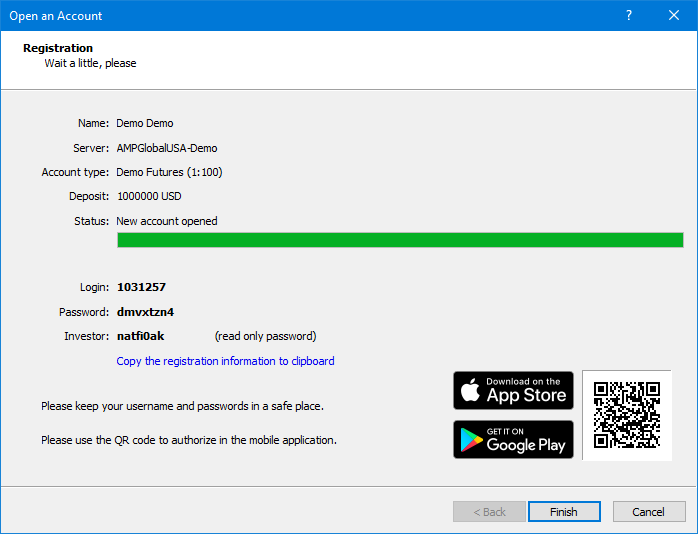 Select the AMPGlobalUSA-Demo under Server: field, Demo futures under the account type, and then agree to the terms and conditions at the bottom of the page. You can then access futures data from here. Please make sure you are using the AMP MetaTrader 5 version! You can open futures contracts through the Market Watch board on the left-hand side of the screen on the MT5 home screen after you have gained access to the AMP Global Servers.